The “Anthropocene” is an increasingly popular term describing what Diane Ackerman calls “the Human Age,” namely the period visible in a measurable and clearly anthropogenic carbon stratum developing in the Industrial Revolution. Regularly represented in opposition to more bucolic images, the city has often represented the worst excesses of human habitation of the natural environment, just as it has been seen as a symbol of the “human age,” and the epitome of waste and spoilage. However, we know from megacities of the twenty-first century that cities are more carbon efficient than less vertical assemblages such as villages and farms. Recent research on “sustainability and the city” observes that “the average urban dweller in the U.S. has about one-third the carbon footprint of the average suburban dweller” and that “from a climate change perspective, the cities are already relatively ‘green’” (Dunham-Jones 2010). The city is more environmentally friendly per capita than the farm, but this has not been traditionally the position expressed in literature. Often a topos presaging apocalyptic visions in the literature of modernism and post-modernism, the city has a long history as an object of representation. humanities since then has been to look at the ecologies of cities (Bennett and Teague 1999; Christopher Schliephake 2014). How, then, do representations of country and city in literature speak to Anthropocene moments? narrative vehicle that not only addresses the excesses of environmental exploitation but also nails down things that transcend time and space and become visible in times of environmental crisis—the hyperobjects about which Timothy Morton theorizes? What contradictions characterize the modern capitalist city, and how do representations of these contradictions determine narrative forms? In what ways is the city a space for the performance and production of “the human” and the “posthuman,” of nature and the end of nature? How does class figure in the representation of cities within the context of the Anthropocene? What is the space and challenge of animals? How does food function in different mega- cityscapes? How does the evolution of cities chart class and gender? Simon Estok is Professor of English and Senior Research Fellow (2014-2016) in the Department of English Language and Literature at Sungkyunkwan University, South Korea. His publications include the monograph Ecocriticism and Shakespeare: Reading Ecophobia. (Palgrave, 2011), several co-edited volumes—East Asian Ecocriticisms: A Critical Reader (Palgrave, 2013), International Perspectives in Feminist Ecocriticism (Routledge, 2013), Landscapes, Seascapes, and the Spatial Imagination (Routledge, 2015)—as well as publications in PMLA, Comparative Literature, Ariel: A Review of International Literature, Interdisciplinary Studies in Literature and Environment, CLCWeb:Comparative Literature and Culture, Journal of Canadian Studies, Comparative American Studies, Mosaic: A Journal for the Interdisciplinary Study of Literature. Serena Chou is an Assistant Research Fellow at the Academia Sinica, Taiwan. Her research interests include agrarian literature, ecocriticism, and American literature. She has published articles in CLCWeb: Comparative Literature and Culture, Comparative Literature Studies, MELUS, Concentric: Literary and Cultural Studies as well as in numerous edited volumes. She currently is a member of the international research group Humanities for the Environment (HfE), funded by the Andrew W. Mellon Foundation. The Environmental Fellows Program supports career development of a new generation of environmental leaders and decision makers in environmental philanthropy. The Environmental Fellows Program (EFP) is a national program that seeks to diversify the environmental and conservation philanthropic sector by supporting the career aspirations of graduate students from traditionally underrepresented groups. Funding decisions made in philanthropic organizations have a significant impact on the health and wellbeing of our natural and built environments and the human communities living therein. Efforts to build a more diverse philanthropic workforce parallel current diversity, equity and inclusion initiatives across the environmental sector. The Environmental Fellowship Program strives to connect these organizations with students who are passionate about environmental philanthropy. Fellows are placed in a 12-week paid internship with one of our partner philanthropic organizations. Fellows may have the opportunity to be placed in a NGO funded by one of our partners. Partner foundations and organizations include, but are not limited to, the Environmental Grantmakers Association (EGA) and their member organizations. Internships expose Fellows to a variety of career opportunities available in the philanthropic sector. Fellows will build new skills and expand social networks that enhance their career portfolios through on-site mentoring, pre-program career development and diversity workshops and by attending a post-program retreat with EGA members. Through these experiences Fellows will expand their understanding of the research and decision making processes that guide foundation giving. Foundations and their grantees benefit from the ideas of highly motivated, energetic Fellows who can assist with new or existing projects. We are seeking student applicants with an interest in environmental philanthropy as well as a passion and commitment to building a more equitable and inclusive environmental workforce. If your foundation would like to support an Environmental Fellow please contact M’Lis Bartlett at 734-936-0900 or efp-snre@umich.edu. The EFP program is an initiative of the School of Natural Resources and Environment’s Diversity, Equity, Inclusion Office at the University of Michigan. EFP is a proud partner of the Environmental Grantmakers Association. Letting our location be our guide in focusing the theme, the Gila Wilderness was established as the nation’s first wilderness area 91 years ago and continues to define our regional identity. The Gila River remains the last free-flowing river in the Southwest, but there is a current proposal in the state legislature to dam the river; local activists have been organizing to fight the proposal. Drought, compounded by climate change, has greatly affected our area, with the largest fire in New Mexico state history occurring in the Gila during 2012. 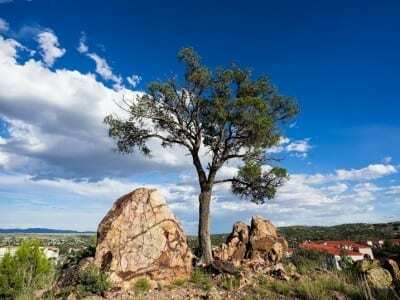 The Gila was the northernmost region of the Mogollon People a millennium ago, and our region remains very culturally diverse with its close proximity to the Mexican-U.S. border. We invite papers, roundtables, presentations, creative work, video presentations, and discussions from a range of disciplines and academic backgrounds that explore the past present, and future of wilderness, mythology of the West, Old West, New West, water, drought, climate change, desert, wastelands, atomic testing sites, military and western space, rivers, dams, tourism, fire, forest management, native cultures, migrant cultures, borders, activism, rhetoric of place, writers of place, writers of the West and Southwest (Aldo Leopold, Edward Abbey, Wallace Stegner, too many to name), wilderness philosophy, and diversity in the West. We invite participants to interpret the theme broadly. We especially welcome creative writers, activists, graduate students, and academics working in the humanities and beyond to consider submitting to the symposium. Symposium sessions will be 90-minutes long. Both scholarly and creative submissions are welcome. Pre- formed panels are encouraged. Please submit your proposal by March 15, 2016 on-line at asle.wnmu.edu. We will notify you of its final status by March 21, 2016. For questions about submissions, the program, the symposium site, or field trips, please contact the symposium organizer Dr. Michaelann Nelson at Michaelann.Nelson@wnmu.edu. Our list of invited speakers includes writers and scholars that are inspired by the people, culture, and landscape of our region in the Southwest.  David Gessner is the author of nine books, including All the Wild That Remains: Edward Abbey, Wallace Stegner and the American West, as well as, My Green Manifesto, and The Tarball Chronicles, which won the 2012 Reed Award for Best Book on the Southern Environment and ASLE’s award for best book of creative writing in 2011 and 2012.  Sharman Russell, author of Diary of a Citizen Scientist: Chasing Tiger Beetles and Other New Ways of Engaging the World (WILLA Award Winner), as well as a dozen other books, writes primarily about nature and the southwest. She makes her home in the Gila.  Dave Foreman, founder of the direct action environmental group EarthFirst!, has written several books, including Confessions of an Eco-Warrior and Ecodefense: A Field Guide to Monkeywrenching. He is currently the director of the Rewilding Institute, a think tank dedicated to promoting conservation and species extinction.  Lucy Tapahonso, Navajo Nation Poet Laureate, and author of several books of poetry, including The Women are Singing and Blue Horses Rush In. Her poetry is inspired by the idea that the feminine is a source of balance and power in the world.  Priscilla Ybarra, author of The Good Life: Mexican American Writing and the Environment. Dr. Ybarra’s work investigates Mexican American literature and environmental issues. She is a professor of English at the University of North Texas.  Phillip Connors, author of Fire Season: Field Notes From a Wilderness Lookout (National Outdoor Book Award, Sigurd Olsen Nature Writing Award), has spent the last decade as a fire lookout in the Gila National Forest. He previously was an editor at the Wall Street Journal. We will offer ten awards of $250 each to graduate students and independent scholars to help defray the cost of attending the symposium. Information on how to apply can be found on the website. Western New Mexico University is a diverse, public, regional university with about 3,500 students. Silver City is located in southwestern New Mexico at 6,000 feet elevation. It is the gateway to the Gila National Wilderness Area, the United States’ first wilderness area, as well as Gila Cliff Dwelling National Monument. It is known for its vibrant art community, locavore food scene, and all-around funky downtown. It has been recently named one of the top 20 small towns to visit by Smithsonian Magazine. 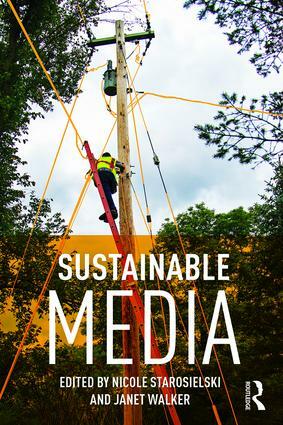 Sustainable Media explores the many ways that media and environment are intertwined from the exploitation of natural and human resources during media production to the installation and disposal of media in the landscape; from people’s engagement with environmental issues in film, television, and digital media to the mediating properties of ecologies themselves. Edited by Nicole Starosielski and Janet Walker, the assembled chapters expose how the social and representational practices of media culture are necessarily caught up with technologies, infrastructures, and environments.Through in-depth analyses of media theories, practices, and objects including cell phone towers, ecologically-themed video games, Geiger counters for registering radiation, and sound waves traveling through the ocean, contributors question the sustainability of the media we build, exchange, and inhabit and chart emerging alternatives for media ecologies. My name is Jennifer Irish, and I am the Program Assistant for the study abroad program titled Learning and Service Journey into Amazonia at Florida State University. Dr. Juan Carlos Galeano, a fellow member of ASLE, is the Program Director, and we both feel that this program will be of interest to you and your students. The official program website is: http://www.international.fsu.edu/types/College/Peru/Default.aspx and more detailed information on the program, including assessments from previous participants, can be found on Dr. Galeano’s website http://myweb.fsu.edu/jgaleano in the section Journey into Amazonia. We hope that you are having a great semester! Symposium sessions will be 90-minutes long. Both scholarly and creative submissions are welcome. Pre-formed panels are encouraged. Deadline Extended: Please submit your proposal by March 15, 2016 online at asle.wnmu.edu. We will notify you of its final status by March 7, 2016. For questions about submissions, the program, the symposium site, or field trips, please contact the symposium organizer Dr. Michaelann Nelson at Michaelann.Nelson@wnmu.edu. Our list of invited speakers includes writers and scholars that are inspired by the people, culture, and landscape of our region in the Southwest. The list of speakers will continue to grow as we receive confirmations from our invited guests. David Gessner is the author of nine books, including All the Wild That Remains: Edward Abbey, Wallace Stegner and the American West, as well as, My Green Manifesto, and The Tarball Chronicles, which won the 2012 Reed Award for Best Book on the Southern Environment and ASLE’s award for best book of creative writing in 2011 and 2012. Sharman Russell, author of Diary of a Citizen Scientist: Chasing Tiger Beetles and Other New Ways of Engaging the World (WILLA Award Winner), as well as a dozen other books, writes primarily about nature and the southwest. She makes her home in the Gila. Lucy Tapahonso, Navajo Nation Poet Laureate, and author of several books of poetry, including The Women are Singing and Blue Horses Rush In. Her poetry is inspired by the idea that the feminine is a source of balance and power in the world. Priscilla Ybarra, author of The Good Life: Mexican American Writing and the Environment. Dr. Ybarra’s work investigates Mexican American literature and environmental issues, as well as the connections between contemporary Chicana feminist theory and environmental thought. She is a professor of English at the University of North Texas. Phillip Connors, author of Fire Season: Field Notes From a Wilderness Lookout (National Outdoor Book Award, Sigurd Olsen Nature Writing Award), has spent the last decade as a fire lookout in the Gila National Forest. He previously was an editor at the Wall Street Journal. Dave Foreman, founder of the direct action environmental group EarthFirst!, has written several books, including Confessions of an Eco-Warrior and Ecodefense: A Field Guide to Monkeywrenching. He is currently the director of the Rewilding Institute, a think tank dedicated to promoting conservation and species extinction. We will offer ten awards of $250 each to graduate students and independent scholars to help defray the cost of attending the symposium. Information on how to apply for these awards can be found on the website.